There are two undeniable constants in modern media. One, teen audiences will always be a tough nut to crack. And two, their favourite platforms and devices will never stop getting better. For brands operating in this space, delivering sustainable results is a taxing yet tantalising challenge, writes Ben Moutrie, client director, Carat. If teens play God with your bottom line, why not play God with them? There is now an ever growing onus on agencies to help overcome this, by developing a planning framework that fuses audience habits and desires, with all the possibilities our present and future media landscape affords. This is something often referred to as ‘planning at the speed of culture’. Applying this ethos ensures the eventual marketing mix is not just effective in media terms, but that it’s considered ‘on trend’. All well and good, but many brands actually depend and thrive upon being way ahead of this curve, of crafting and controlling trends for themselves. If teens play God with your bottom line, why not play God with them? For me at least, the absolute key to achieving this is confidence – completely credible, balls-out confidence – and not just from the brand, but from the agencies they partner with. The chief outcome of our planning must be bucket loads of the stuff, the kind our audience is desperate to soak up. The incessant rise of social has turned the tables of control between consumer and brand. Was there ever a time when the audience not only had a voice in media, but actually knew more about the platforms than the guys they’re buying from? That’s the case today. Kids know the standard, they know when you’ve got it wrong, and they’ll pull you to bits for it. They think they can do it better, and they can prove it. Brands make trends, yes, but social gives those brave enough the chance to craft them perfectly. It’s not about knowing what’s coming, it’s about dictating the outcome. We’re not monitoring trends, we’re growing them. Put social first and let the learnings seep into every corner of the business. 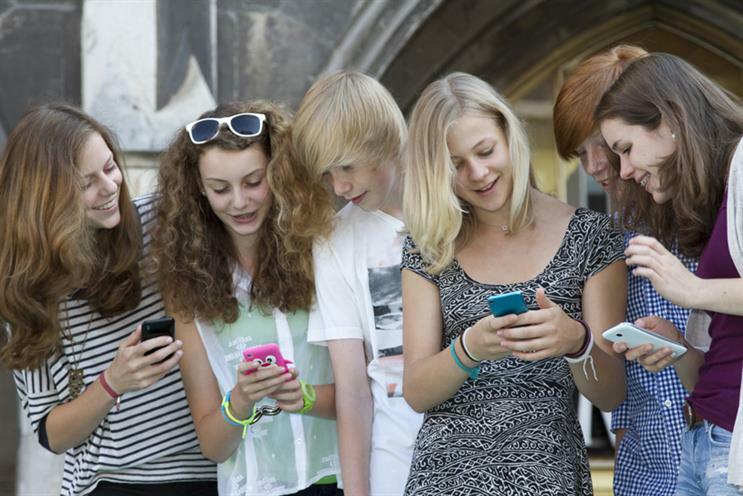 Are the things our teens love ever truly new? Or are they each evolutions, hacks, the best getting better. Think of Netflix, Spotify, Twitter, those places teens spend all their time, the things they can’t live without – they’re not new, they’re a result of someone somewhere questioning the status quo, playing with what’s possible. This is how trends are born, and those brands dependent on leveraging them do well to breed this mentality among their agency family. In cricketing terms, there are no prizes for playing a straight bat, play big and take the game away from the opposition. Abandon what you think you know, to learn what you don’t. By nature they are separate, disparate, to be addressed in isolation by dedicated specialists. But for a teenager, they are one. What they talk about online, lives offline. What inspires them offline, they share online. The overlapping of these worlds is fluid and constant – a sea of chain reactions consumers bathe within. Controlling trend means mastering this dynamic – becoming a catalyst for cross pollination, creating media that feeds and grows off this bond. These are just a handful of appropriate behaviours, but it’s crucial to note they are each a by-product of unified confidence, not a pre-requisite. We can’t just flick a switch, this doesn’t bloom overnight. Having the poise and bravado to shape culture must spawn from deep-rooted credibility. In other words, whatever you do, the consumer must always think you both legitimate and authentic – confidence is earned, it isn’t on tap. These principles are simply steps in this process, means of nurturing genuine confidence to shape audience outcomes, the cart before the horse. The beauty of striving to apply them is that we operate within a perfect playing field every day, a hotbed for trend marketing. We should never forget that media, so often placed last in the product journey, is the brand’s first line of attack, and we’ve got the ball. In the words of Bobby Charlton, use it wisely.